Driving is easy. If you rent a car, the island offers incredible places to visit. 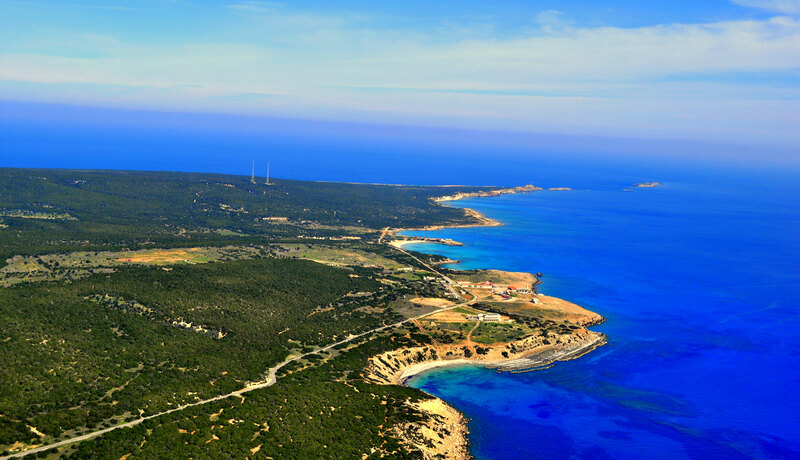 North Cyprus is a small island but packed with numerous places to visit and explore. One of the best ways of exploring the island is a self-drive touring holiday in your own car. It offers the flexibility and freedom you require. You can take in the local culture, simply relax and unwind on an undiscovered beach, enjoy a scenic drive in the beautiful countryside or visit numerous historical places. It also boasts a great choice of restaurants to try. In North Cyprus, indeed in the whole of Cyprus, vehicles drive on the left. This is a legacy of the British administration, just like the UK style square 3 pin plugs and sockets. The main roads are mostly kept in good order with road markings according to international standards. There are very few complex road systems with major junctions controlled by roundabouts or traffic lights. Flashing amber lights on a tall pole usually advise that you are approaching traffic lights. Outside the main towns, traffic lights are few. All roads are subject to speed limits. In heavily populated districts the speed limit on urban and rural roads is, 65 or 80km/hr and on highways, 100km/hr. Speed limits of 50km/hr, change frequently along a given stretch of road, especially near junctions. Short term visitors are allowed to drive on a valid driving licence from their country of origin and anyone hiring a car must be 25 or over. It is normal to expect a hire car to be clean, road-worthy and in good condition but, before accepting a car, it is wise to check the tyres are good and that all the lights are working, head lights, side lights, brake lights and indicators. Seats belts must be worn by the driver and all passengers. Mobile phones must not be used whilst driving and there is a zero tolerance to alcohol. The penalty for any of these offences is a hefty fine. Active, fixed speed cameras along the roadside are common. A warning sign advises of the camera and the speed limit is displayed. Many are placed in 65km/hr sections but some are in the 50km/hr zone. The driver will be notified of any speeding infringement and, if it is a hire car, the notification will come through the hire company. If a visitor has returned home before the notification, it will be held on the computer until the next visit. Driving standards are not the best in North Cyprus with a relatively high number of road deaths each year. Accidents nearly always involve overtaking. The local drivers are too eager to overtake at any opportunity, often when it is unwise or unsafe to do so. Armed with this knowledge, visitors can drive more defensively by anticipating the consequences of such actions and keeping themselves safe.